Hi ladies! Only a few more days before Thanksgiving! Are you excited!? I know I am!! I am so excited to be guest posting on Sarah's lovely blog today! This week, Sarah, myself and a few other wonderful bloggers have put together Share The Love guest posting. We each had themes manis and my theme is 5 Days of Glitter! 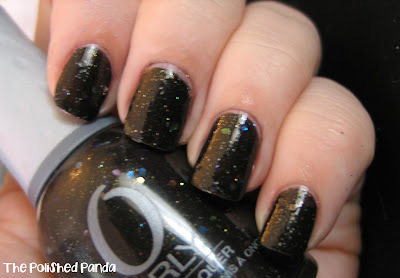 So today I have for you Orly - Androgynie from the Holiday Soiree collection. This polish is absolutely stunning! It's like having a jelly sandwich with only one polish! This is two coats.